The Smooth Moves Air has thrown the hand pump overboard. 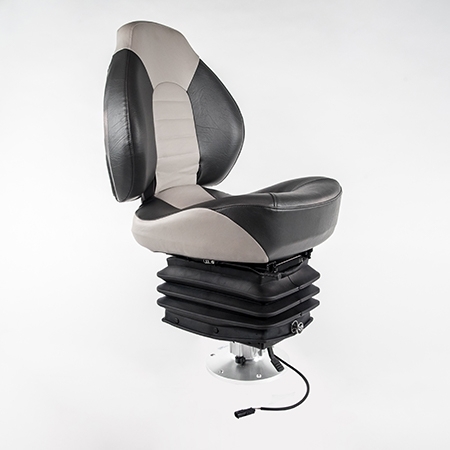 Unlike most “air ride” boat seats on the market, our built-in air compressor can be activated with the touch of a button. 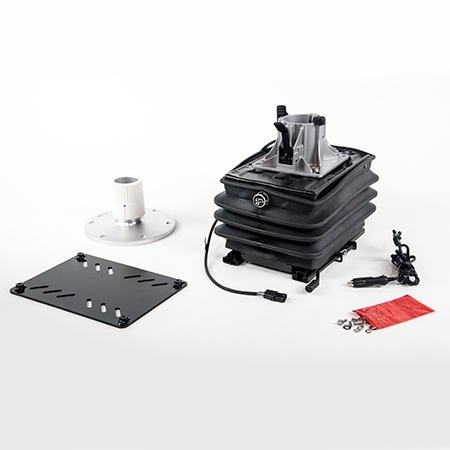 Either plug the system into a 12V outlet when you need to add air or hardwire it into your boat’s electrical system for even easier access. The Smooth Moves Air can easily adjust for a variety of passenger weights (up to 350 lbs.). 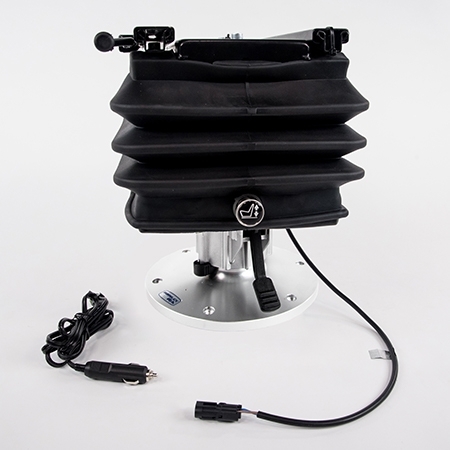 This premier shock absorbing suspension is incredibly durable and features salt water-resistant powder-coated steel and a protective rubber boot. 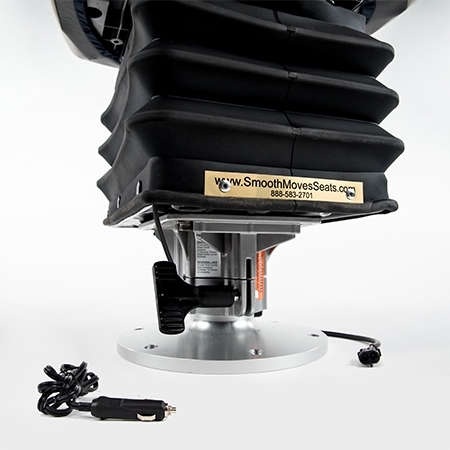 Smooth Moves suspension will fit in most fishing and pontoon boats with pedestal-style seat configuration, including HewesCraft, KingFisher, Warrior, Tracker, Nitro, Triton, Recon, Lund boats, Ranger boats, Crestliner, Alumacraft, Lowe, Skeeter, Bayliner boats, Starcraft, Smokercraft, Stabicraft and many other fishing boats. 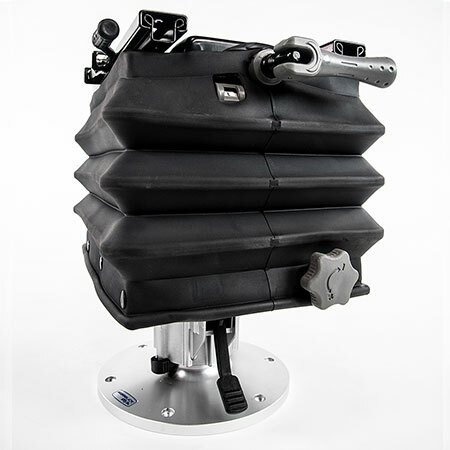 To determine which size pedestal to order for your Smooth Moves Air boat seat suspension system, measure from the bottom of the seat cushion to the floor of the boat. If it is 16.5 to 17.5 inches, then order the 6-inch pedestal. If it is 17.5 inches to 19.5 inches, then order the 8-inch pedestal.